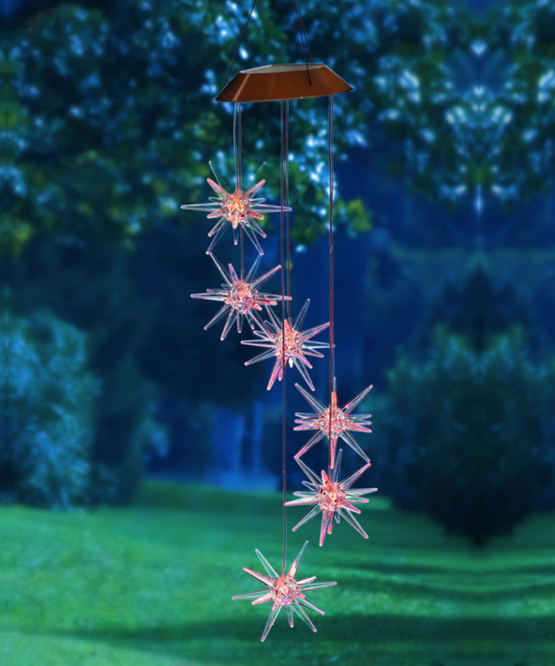 The Starburst Solar Mobile Wind Chime is a treat day and night. Limited Quantities Available: we recommend purchasing now if you want to give any of our solar mobiles as a holiday gift! Just hang it in a sunny location and by day, it resonates with lovely sounds. 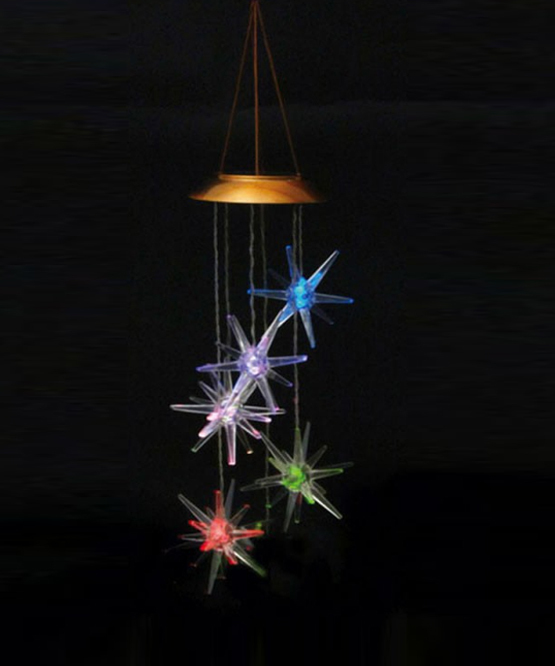 At night, the mobile turns into a lovely decorative light with an ever-changing array of colors. Several starbursts hang beautifully with six starburst for a total lenght of 26 inches, inches long. No muss, no fuss: just hang it and it's good to go!